About 3500 cubic inches. Roughly 12"x11"x27 WxHxL. 960 g/ 2.1lbs. Removable internal compression strap. Burly, padded grab handles at the ends. 10 low profile attachment points for the shoulder strap or to lash the duffel onto something. 1000d Cordura Webbing combines a soft hand and incredible strength on the handles and shoulder strap. US made #10 water resistant zipper. CiloGear makes duffels the same way we make our packs. We blend materials to match real requirements and cut off worthless features where we can. Our grab handles use the same supportive foam found in the WorkSack's shoulder straps. These grab handles are comfortable enough to drag the bag through airports or gang carry down trails, and sit close to the duffel. 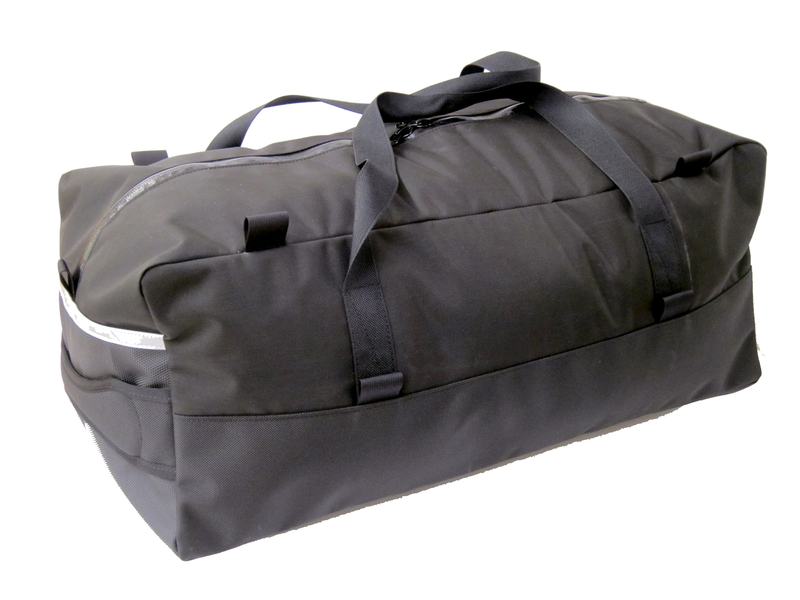 We use a supple 1000d TPU coated Cordura on the bottom of the duffel to allow you to drag the thing around the world. In our research, we found the most holes on the bottom sides of duffels. 1380d Ballistics Cordura laughs at abrasion. On top of the duffel, CiloGear matched the burly US made #10 water resistant zipper with a 630d Cordura that's waterproof and white on the inside to help you find stuff.